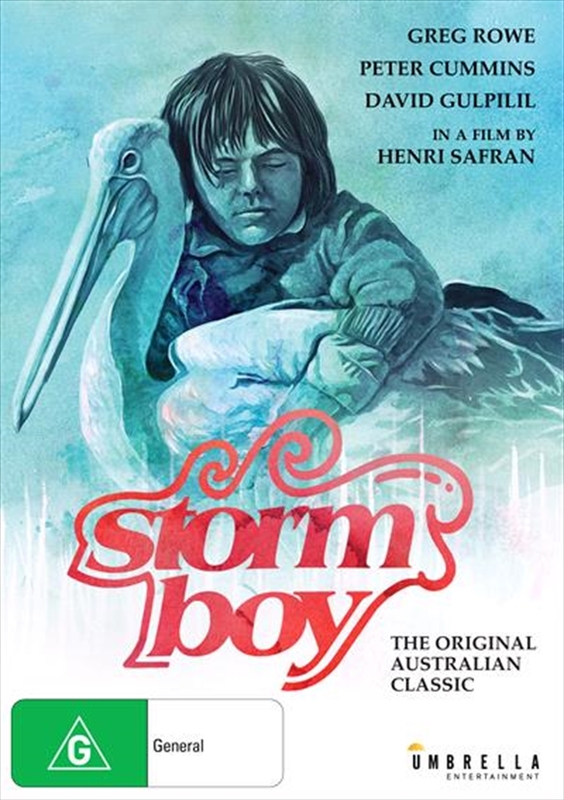 Storm Boy (Greg Rowe, Blue Fin) lives with his recluse father, Tom (Peter Cummins, Return to Snowy River) on South Australia's lonely and beautiful coast. Here his free spirit roams with his pet pelican, Mr. Percival, and his secret Aboriginal friend, Fingerbone Bill (David Gulpilil, The Tracker). He knows no other world. Suddenly there are intruders, the local teacher who wants him to attend school, a resentful wild-life ranger, duck hunters... Storm Boy, growing up is forced to choose between a life of continued isolation and the challenges of the outside world.